Here's where to watch every episode of Critical Role season 7. Mouseover or tap an episode to see where to stream it. Click or tap the play icon to stream it on the best available service. Episode 85 - A Bard's Lament Feb 9, 2017 Grog vs. Earthbreaker Groon in the Temple of Kord! Scanlan awakes! Vox Machina go to see a guy about a hand! Episode 86 - Daring Days Feb 16, 2017 Vox Machina get to know Terry, and prepare for an ocean voyage! Episode 87 - Onward to Vesrah Feb 23, 2017 Adventure on the high seas! Vox Machina prepare to be boarded! Episode 88 - Tangled Depths Mar 2, 2017 Vox Machina enter the Water Elemental Plane as the final part of Keyleth’s Aramente. Episode 89 - Curious Tides Mar 9, 2017 Keyleth completes her Aramente as the fate of Vax is decided! Episode 90 - Voice of the Tempest Mar 16, 2017 Vox Machina make their way to the home of the Air Ashari for the coronation of Keyleth! Episode 91 - Vox Machina go to Hell Mar 23, 2017 Vox Machina descend into the nine hells, take a walking tour of the city of Dis, and sample the local cuisine. Episode 92 - Deals in the Dark Mar 30, 2017 Vox Machina search the city of Dis for any alternative to making a deal with a devil. Episode 93 - Bats out of Hell Apr 6, 2017 With the dangers of the city of Dis looming, Vox Machina must surmount their dangerous agreement and find their quarry. 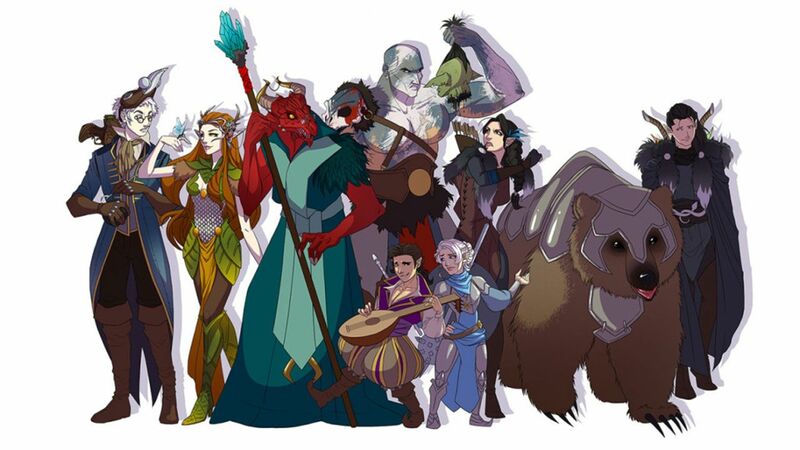 Episode 95 - One Year Later... Apr 27, 2017 It’s been one year since we last saw Vox Machina, but the gang is getting back together for a group vacation to the Bay of Gifts! Episode 97 - Taryon, My Wayward Son May 11, 2017 Tary’s past catches up with him, as Vox Machina find themselves racing towards the city of Deastok. Episode 98 - The Mines of the Many May 18, 2017 To save the Darrington family, Vox Machina descend deep into an abandoned mine. Episode 99 - Masquerade Jun 1, 2017 Tary returns to deal with the distinction of his family, and echoes of the past follow Vox Machina to Whitestone. Episode 100 Jun 8, 2017 Vox Machina make their way to the mysterious second Ziggurat outside Ank’Harel.